We’d love your help. Let us know what’s wrong with this preview of My Name Is Celia by Monica Brown. A Bilingual Storybook Biography of The Life of Celia Cruz, The Cuban-Born Queen of Salsa. To ask other readers questions about My Name Is Celia, please sign up. Azucar! Azucar! This bilingual story takes us through the colorful, vibrant, and inspiring life of salsa queen Celia Cruz. Born in Havana, Cuba, in 1924, Celia grew up loving to sing. She wanted nothing more than for her voice to be heard and to share, with the world, the pure emotion that can come from music. Faced with the obstacles of poverty and racial discrimination, Celia Cruz was a fighter who broke boundaries and crossed borders to make her dreams a reality. During her lifetime she recei Azucar! Azucar! This bilingual story takes us through the colorful, vibrant, and inspiring life of salsa queen Celia Cruz. Born in Havana, Cuba, in 1924, Celia grew up loving to sing. She wanted nothing more than for her voice to be heard and to share, with the world, the pure emotion that can come from music. Faced with the obstacles of poverty and racial discrimination, Celia Cruz was a fighter who broke boundaries and crossed borders to make her dreams a reality. During her lifetime she received several awards and touched the lives of many, spreading joy and happiness with song. Despite her passing in 2003, Celia’s music still lives on and continues to make a great impact. 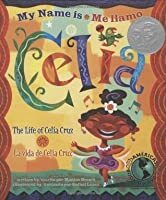 My Name is Celia: The Life of Celia Cruz, written by Monica Brown, with a genre in multicultural biography, and illustrated by Rafael Lopez, is about a girl, Celia, who grew up in Havana, Cuba and was a very talented singer. Because her friends and family believe in her so much, she signs up for competitions. Unfortunately, upon Fidel Castros arrival of communism, Celia and her family escape to the United States. She still enters signing competitions, even though there is much racism against the My Name is Celia: The Life of Celia Cruz, written by Monica Brown, with a genre in multicultural biography, and illustrated by Rafael Lopez, is about a girl, Celia, who grew up in Havana, Cuba and was a very talented singer. Because her friends and family believe in her so much, she signs up for competitions. Unfortunately, upon Fidel Castros arrival of communism, Celia and her family escape to the United States. She still enters signing competitions, even though there is much racism against the Cuban people. She works hard to prove them wrong and wants to become famous. She ends up becoming a famous salsa singer in New York, then moving down to Miami. This story shows young children that even when they face difficult times in their life, if they persevere, anything can happen. The illustrations in this story show just how and what obstacles Celia overcame to follow her dreams. They are full of color and life, just like she is. This story describes her full life and what hardships she dealt with while rising to the top. Any student can relate to this story, but especially those who have immigrated to another country and are feeling picked on or hurt because of their ethnicity. 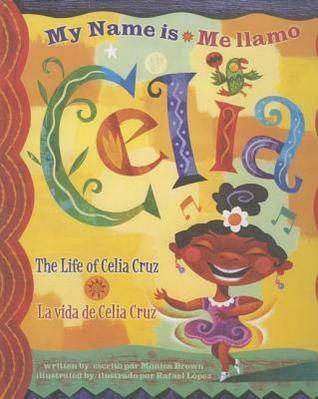 This biography of Celia Cruz’s life is portrayed in a children’s book and portrays a young Cuban girl named Celia. She shares her journey starting off on a small island and moving to America. She becomes a world renowned super star using her music and voice to bring happiness and joy to everyone. Celia grows up poor but throughout her life she tells herself that she would keep studying and singing no matter what. She explains her journey through the Cuban Revolution and her travels to Mexico and This biography of Celia Cruz’s life is portrayed in a children’s book and portrays a young Cuban girl named Celia. She shares her journey starting off on a small island and moving to America. She becomes a world renowned super star using her music and voice to bring happiness and joy to everyone. Celia grows up poor but throughout her life she tells herself that she would keep studying and singing no matter what. She explains her journey through the Cuban Revolution and her travels to Mexico and America. She leaves Cuba and as a picture in the book depicts, it is with her suitcase, music, and her heart. She makes new friends in the United States and starts playing with them, but her music never changed. The last few pages go in depth about Celia Cruz’s life and family. She was known as the queen of salsa. This was a wonderfully colorful book that would be great to share with any grade level, it portrays immigration and language gracefully. The My name is Celia is a book that tell the story of Celia Cruz. This books is for 5 - 8 years, and grade level Kindergarten - 3 grade. However, I find the preschooler can enjoy the colorful story, too. The book is been Multilingual, as it is in English and Spanish. The illustrations is colorful , and show the Hispanic culture. The book retell the story of Celia Cruz the Queen of Cuban of Salsa. Since she lived her beautiful Cuba , and when she move to New York. I like this book. The colorful illustrations match the colorful life of Celia Cruz. She was born in Havana, Cuba and started singing at a young age. She was inspired by a teacher to share her talent. She soon formed a musical group called Sonora Matancera and ended up marrying the trumpet player, Pedro Knight. Her music stayed true to her Havana roots and she was named the "Queen of Salsa". Her music crossed borders and she touched many lives throughout the world. Vibrant folk-art illustrations. English and Spanish text telling of the life of Celia Cruz, a Cuban-born Salsa singer who emigrated to the US after the revolution. Nice biography in the back of Ms Cruz. I can see reading this to a group, and it will be a nice addition to our school library. English learners can see both Spanish and English text and visa versa. This month is Hispanic Heritage so I decided to read Celia Cruz picture book. I’m so happy the book is in bilingual so English and Spanish children can real about Celia Cruz life. The author takes you to a time when she was a little girl in Havana, Cuba. Her passion for music has brought people of all races together. This Americas Book Award winner is a beautiful book! It is about the life and music of Celia Cruz, the Queen of Salsa. This bilingual book is a great way to include Hispanic (specifically Cuban) culture into the classroom, appreciating the contributions Hispanics have made to the "American culture." I really liked the illustrations in this -- so full of energy. I don't love the conceit of doing a biography in an "I" voice -- it feels, if not conceited, weird (see also The Amazing Discoveries of Ibn Sina ), though it felt less weird once I was past the first couple introductory pages and into the narrative. In some ways, this book moves more quickly than Celia Cruz, Queen of Salsa and takes a more skimming approach, but it still touches on poverty and racial discrimination-- and, unlike I really liked the illustrations in this -- so full of energy. In some ways, this book moves more quickly than Celia Cruz, Queen of Salsa and takes a more skimming approach, but it still touches on poverty and racial discrimination-- and, unlike Celia Cruz, Queen of Salsa , explicitly states that it was because of the Cuban Revolution that Cruz left Cuba. Grade 2-4 - An exuberant picture-book biography of the Cuban-born salsa singer. From its rhythmic opening, the first-person narrative dances readers through Cruz's youth in Havana, a childhood bounded by scents of nature and home, the sweet taste of sugar, and the sound of music. A singer from an early age, Cruz sang so continually that one of her teachers finally urged her to share her voice with the world. Thus encouraged, she entered competitions, undeterred when her racial heritage prevented her from competing - undeterred, even, when the advent of Castro's communist regime forced her to leave Cuba as a refugee. Positive even in exile, Cruz made New York City her own and took Miami by storm. The salsa-influenced prose presented in English and in Spanish is followed by a straightforward vita of the singer, noting her death in July 2003. Lopez's distinguished, luminous acrylic paintings are alive with motion, lush with brilliantly layered colors, and informed with verve and symbolism. This is a brilliant introduction to a significant woman and her music. The only enhancement required is the music itself. My Name is Celia is an illustrated, bilingual biography of the late salsa singer, Celia Cruz. Growing up in Havana, Cuba, Cruz demonstrated from a young age that she was a talented singer. With the encouragement of her friends, family, and teachers, Cruz began entering competitions. However, Celia’s life in Cuba would come to an end with the rise of Fidel Castro and his communist regime. Cruz and her family managed to escape to the United States, where she would continue to enter singing competitions, even in spite of anti-Cuban racism. Undeterred, Celia Cruz continued to work hard and persevere, knowing one day she would be recognized for her passion and ability. Cruz would go on to become a famous salsa singer, starting in New York, moving onto Miami, and eventually the whole world. She lived a happy life, until her death in July 2003. I would use this book with a unit on famous figures in Latin America. The unit would focus on how they persevered in pursuit of their dreams, despite facing many challenges on the way there. Presented in colorful illustrations, this book is about the life of Latin/Salsa singer Celia Cruz. Each double-page spread is presented in both English and Spanish. She describes her family, culture, and lifestyle in Cuba, and the determination it took to confront and overcome obstacles to her singing. She describes leaving Cuba and traveling to NY and Miami with her husband with their musical careers. SUGAR! The book starts right away using similes. Additionally, students are attracted to the colors, music (great for music classes, read WITH congas, clapping hands and shaking hips like the book), and languages. This is a great book for blended classrooms as well as teaching in Spanish classes, even at the middle and high school levels (read with ruffles, beads, sparkles and feathers while learning the vocabulary). This book can also be taught with geography lessons about Cuba. An exuberant picture-book biography of the Cuban-born salsa singer. From its rhythmic opening, the first-person narrative dances readers through Cruz's youth in Havana, a childhood bounded by scents of nature and home, the sweet taste of sugar, and the sound of music. A singer from an early age, Cruz sang so continually that one of her teachers finally urged her to share her voice with the world. Thus encouraged, she entered competitions, undeterred when her racial heritage prevented her from competing—undeterred, even, when the advent of Castro's communist regime forced her to leave Cuba as a refugee. Positive even in exile, Cruz made New York City her own and took Miami by storm. The salsa-influenced prose presented in English and in Spanish is followed by a straightforward vita of the singer, noting her death in July 2003. Lopez's distinguished, luminous acrylic paintings are alive with motion, lush with brilliantly layered colors, and informed with verve and symbolism. This is a brilliant introduction to a significant woman and her music. The only enhancement required is the music itself. This book has received both Americas Award, and the Pura Belpre Award. This book is about the life and career of the “Queen of Salsa,” Celia Cruz. Born in Cuba 1924, Celia was a great singer,, encouraged by her family and friends continue singing, Celia entered competitions. When communist Fidel Castro came to power in Cuba, Celia and her family left to America. In America she continued to sing, and finally became a famous salsa singer in the United States. Celia, came to America and did not lose her Cuban roots, in fact she enriched the people of America with music of her home. This book has a readability level of 2.6 but this book would be great for students from K-2nd grade. I would defiantly use this book in my classroom. 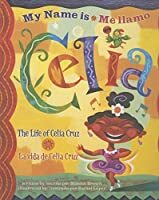 This book tells the story of Celia Cruz, a Salsa singer that usually would not be communicated in the Primary classroom. The colorful illustration adds wonderful depth to the already amazing book. Celia Cruz is a famous musician. She talks about her childhood in Cuba and about the family and atmosphere that she loves so much. A teacher once told her that she must reveal her voice to the world for everyone to hear. When Cuba went into a revolution, Celia went from Cuba, to Mexico to the United States of America. Along the way, her and her band played music for the world to listen. She became famous, and her music charmed millions. Her husband was in the band, and he was able to share her musical experiences with her. Her dedication to her passion for music was the reason she was successful. To this day, her music still lives on. I would use this in the classroom, as it shows that you can do anything you put your mind to if you are willing to put in the time and the effort. It is a multi-cultural book, and the text is in both English and Spanish, which is great if you are part of a bilingual classroom. Summary: This book is about a famous musician by the name of Celia Cruz. She talks about her childhood in Cuba and about her family along with the place where she lives which she loves so much. A teacher once told her that she must reveal her voice to the world for everyone to hear. When Cuba went into a revolution, Celia left Cuba and went to Mexico and then to the United States. During her journey, her along with her band played music for the world to listen. She then became famous. Her husband was in the band, and he was able to share her musical experiences with her. Her dedication to her passion for music was the reason she was successful. To this day, her music still lives on even after her death. This colorfully illustrated picture book tells the story of Celia Cruz, from her fond childhood memories to her rise to fame. It is a fun story that I believe children will find interesting, because of the language used and captivating illustrations. The plot includes the influence her father, teacher, and friends had on her musical journey. The book provides a kid-friendly approach to this historical figure and can assist in discussion about aspirations, inspirations, overcoming obstacles, ect. This colorfully illustrated picture book tells the story of Celia Cruz, from her fond childhood memories to her rise to fame. It is a fun story that I believe children will find interesting, because of the language used and captivating illustrations. The plot includes the influence her father, teacher, and friends had on her musical journey. The book provides a kid-friendly approach to this historical figure and can assist in discussion about aspirations, inspirations, overcoming obstacles, ect. In the book, the life of Celia Cruz is portrayed in a modest and genuine light. Author Monica Brown is a part of the cultural group that is represented in the story, writing from an insider point of view. -From the book, My Name is Celia by Monica Brown, I had a text-to-world connection. This book shares the life of Celia Cruz. She was born in Cuba, and became an American citizen. She is known for being a part of a team that created salsa music. “I was still a young women when a revolution began in my country” and “My new home with the lights and people- a blend of many cultures and traditions” are two quotes from the book. These two quotes are examples of how different countries are going through things that force people to be refugees in the United States. For example, we have many Burmese and Sudan refugees living in Omaha because of persecution in their country. Although Celia Cruz was not persecuted, she did have to flee Cuba in order to be safe. The second quote just describes America. We are becoming an even more diverse country by taking in different refuge groups. I have traveled the world and I can truly say that America is the most diverse country in the world! Brown, M. (2004). My Name is Celia: The Life of Celia Cruz/ Me llamo Celia: La vida de Celia Cruz. Flagstaff, Ariz..: Rising Moon. A book about Celia Cruz and her life as it was. Celia Cruz is known around the world for her great salsa music. The reading points out the struggles of Celia Cruz as she fought to become a singer. From traveling far with her cousin to compete or being turned away for her color, Celia Cruz promised herself to continue no matter what. Lovely colorful illustrations captu Brown, M. (2004). My Name is Celia: The Life of Celia Cruz/ Me llamo Celia: La vida de Celia Cruz. Flagstaff, Ariz..: Rising Moon. A book about Celia Cruz and her life as it was. Celia Cruz is known around the world for her great salsa music. The reading points out the struggles of Celia Cruz as she fought to become a singer. From traveling far with her cousin to compete or being turned away for her color, Celia Cruz promised herself to continue no matter what. Lovely colorful illustrations capture Celia Cruz’s style of life. Like mentioned in the book Celia Cruz was a go getter, happy person, and had great determination. This book has role model, inspiring singer and fighter written all over it, what a great book for kids. My response to the book: This book tells the life story of a young Cuban girl who moved to the United States as a refugee and became a salsa singer in Miami, New York and throughout the Americas. Celia Cruz (1924-2003) was known as the Queen of Salsa and there is a short biography of her life at the end of the book. Curricular/Programming connections: Use in a bilingual English/Spanish grammar class or share with children as part of music curriculum or when studying different cultures. Monica Brown, Ph.D. is the author of awardwinning bilingual books for children, including My Name Is Celia: The Life of Celia Cruz/Me llamo Celia: La vida de Celia Cruz (Luna Rising), a recipient of the Américas Award for Children's Literature and a Pura Belpré Honor. Her second picture book, My Name Is Gabriela: The Life of Gabriela Mistral/Me llamo Gabriela: La vida de Gabriela Mistral (Luna Ris Monica Brown, Ph.D. is the author of awardwinning bilingual books for children, including My Name Is Celia: The Life of Celia Cruz/Me llamo Celia: La vida de Celia Cruz (Luna Rising), a recipient of the Américas Award for Children's Literature and a Pura Belpré Honor. Her second picture book, My Name Is Gabriela: The Life of Gabriela Mistral/Me llamo Gabriela: La vida de Gabriela Mistral (Luna Rising) shares the story of the first Latina to win a Nobel Prize.